Ego makes many leaders; however, it can be a hindrance in an educational leadership position. Please put yours aside in favor of a shared leadership style. You may hold yourself to an expectation of being an expert in everything, but we do not. Let us fill in the gaps with our expertise. We do not view you as being “weak”, and we are eager and happy to help. Empower us. We are passionate, knowledgeable, and driven. You may have more experience than us and/or a higher ranking title, but it’s our daily work with kids and families that will define your leadership and legacy. Thank you for encouraging us to take risks. However, we are not afraid to take risks; we are afraid of what you may do if our risks result in something other than you expected. Your front end encouragement is great, but it’s your back end support that we desire. Thank you for encouraging our suggestions and questions. However, we are not afraid to offer suggestions and ask questions; we are afraid that your ego will interpret a suggestion as implying we know better than you, and a question perceived as challenging you and your authority. Your front end encouragement is great, but it’s your back end collaborative dialogue that we desire. Thank you for taking the lead in helping us to become 21st century educators; however, please focus on best practice–not technology. You see, many of our careers were born in the 21st century, and many of those who weren’t have by now spent the majority of our careers in the 21st century. Frankly, we don’t need help “becoming” 21st century educators. We are inherently 21st century educators. It is no longer something on the horizon to brace and prepare for. It’s here. It’s been here for 15 years. We need you to lead us with best practice. Focus on the human component of education, and the particulars of differentiation, instruction, student engagement, family involvement, and efficiency. As inherent 21st century educators, we’ll incorporate the tools and resources at our disposal. Support of those resources and tools should be supplementary, not the focus. 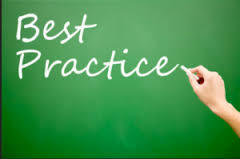 The focus should be best practice instruction and student learning. The same goes for helping our kids “become” 21st century learners. All of our elementary (PK-8) kids were born in the 21st century. Our high school–and even our college–students have lived the majority of their lives in the 21st century. They inherently are 21st century learners. Please focus on instruction and student learning–not creating already born 21st century learners. Not everyone can do your job. Again, we appreciate your position. We want to help you be the best leader possible. 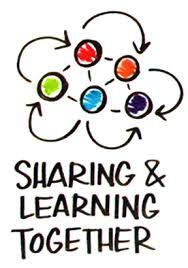 Posted by Sam LeDeaux on August 30, 2014 in Action, Collaboration, Education, Humility, Leadership, Learner, Organization, Prioritizing, Reflection and tagged accurate reflection, Collaboration, Education, Leadership, learning, Organization, Teamwork.